Hands-free telephones seemed to be thought of very soon after the first phones went mainstream. Early inventions were quite simple and seem obvious with today's point of view. An pioneering idea was to rig a stethoscope to the ear pice and then just pop it on like a pair of headphones making sure to still talk into the old-style, free-standing microphone of the time. 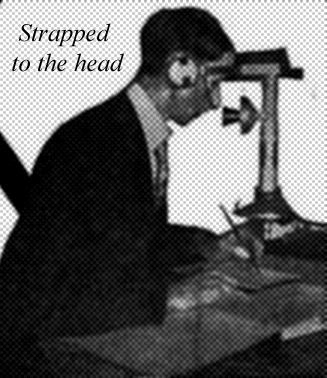 Oddly enough some inventors went straight for the obvious: strapping the entire phone to one's head [[example]].